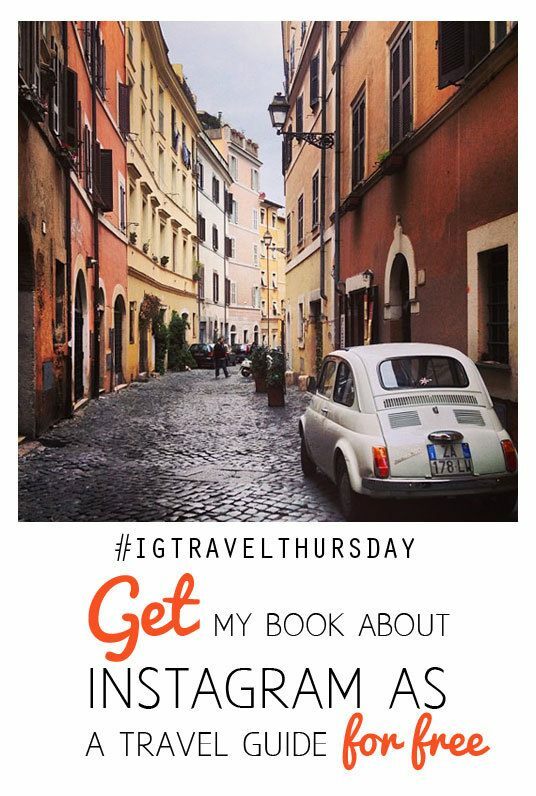 Thank you so much for all of the positive feedback the past few weeks when I have been publishing some content from my ebook Instagram as your Guide to the World – How, What and Who to Search and Follow on Instagram to Help You Travel the World as part of the Instagram Travel Thursday. My goal with writing this book was to inspire others to experience Instagram as I do and use it as a “travel guide” for your next travels and as a way to connect with other travelers around the world. Now I would like to give this book for free for you – so you can get more tips how to utilize Instagram. Subscribe to my newsletter, and you will be sent a downloadable copy of my book. I send out my newsletter 1-2 times a month on Fridays, and it’s more like a personal email from me to you, and I wish to inspire you to make your dreams to reality – whatever your dream may be. Thank you also for everyone who participated our Twitter chat last week! It’s been great to get to know so many new people via your blogs and Instagram feeds during the past couple of months, that it was so great to chat with everyone at the same time in our Twitter chat – we are doing it again next month, stay tuned! I think we will host a Twitter chat once a month now on, and I think the next we will also host a Pinterest party to Pin our Instagram photos. I am keeping my Instagram Travel Thursday post short today, and my wish is that you will click through the links below and visit the other participants in the Instagram Travel Thursday and please join us and write your own post and keep publishing your photos on Instagram with #IGtravelthursday hashtag. I signed up! Looking forward to reading the book. I love, love, love this eBook. Thank you so much for sharing! Thanks so much, Katja – I’m looking forward to reading your book! So generous of you to share your book with everyone! I’m excited to read it! I’ve been traveling and haven’t had a chance to download your book but am looking forward to doing so soon. Thanks so much for sharing! No problem, I hope you will enjoy the book :) And have fun on your travels! I agree – it’s been great to connect with other travelers, that’s the best part of the linky!! Yay, how timely. I signed up this week, and already received mine. I added it to the weekend reading list. Thanks for the bonus Katja. Thanks for singing up :) I can’t wait to hear what you think!